With a 3.5" touchscreen and motorised pan-tilt camera, you can check on your little one from anywhere in the home. 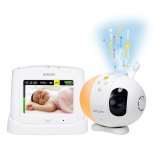 Also includes lightshow, lullabies, white noise, nature & womb sounds to help make sleep-time easier. 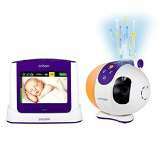 The Babysene2 Value Pack combines the peace of mind of the Babysense2 Infant Breathing Movement Monitor with the quality video monitoring of the Secure710.